Tore Bjørgo is Professor of Police Science at the Norwegian Police University College and adjunct research professor at the Norwegian Institute of International Affairs (NUPI). His main fields of research have been political extremism and terrorism; racist and right-wing violence; delinquent youth gangs; disengagement from violent groups; political communication; crime prevention; and policing. 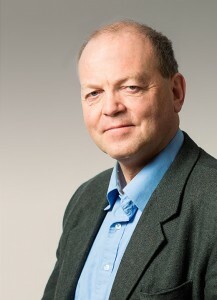 He has (co)authored or (co)edited thirteen books, including Racist and Right-Wing Violence in Scandinavia: Patterns, Perpetrators, and Responses (1997); Root Causes of Terrorism (2005); Perspectives of Police Science in Europe (2007); Leaving Terrorism Behind: Individual and Collective Disengagement (2009, co-edited with John Horgan), Strategies for Preventing Terrorism (2013), and most recently, Preventing Crime: A Holistic Approach (forthcoming), and The Dynamics of a Terrorist Targeting Process: Breivik and the 22 July Attacks in Norway (forthcoming, with Cato Hemmingby). John Morrison is a senior lecturer in Criminology and Criminal Justice at the University of East London. He holds a PhD in International Relations from the University of St. Andrews, an MA in Forensic Psychology from University College Cork and a BA in Psychology from University College Dublin. He is author of Origins and Rise of Dissident Irish Republicanism: The Role and Impact of Organizational Splits, which was published by Bloomsbury Press in 2014. John is currently co-editing an edition of Terrorism and Political Violence with Dr. Paul Gill. This special issue will be analysing the past one hundred years of Irish paramilitarism from the 1916 Easter Rising up to 2016. 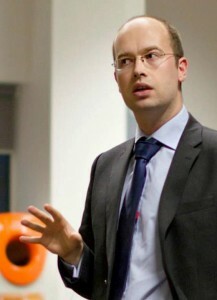 Dr. Morrison’s research interests include organisational fragmentation, the psychology of terrorism, the role of trust within terrorist groups and dissident Irish republicanism. 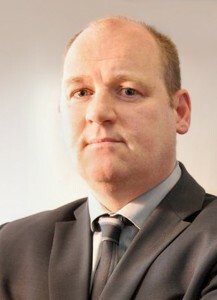 John Cuddihy is a Detective Chief Superintendent and is currently the head of Police Scotland Organised Crime and Counter Terrorism Unit and provides strategic direction to a command of over 1000 seasoned investigators and experts in the field of covert policing techniques. This unit is unique to UK policing as it delivers both Organised Crime and Counter Terrorism strategies through a single delivery model which is designed to mitigate the threat, risk and harm posed by individuals and groups who involve themselves in organised crime, terrorism or domestic extremism activities within the communities of Scotland. 5. On that note, journalists should more than occasionally request that terrorism experts support their claims with evidence. @MMSweeney1109 Knowing the limits of one's discipline takes real expertise.